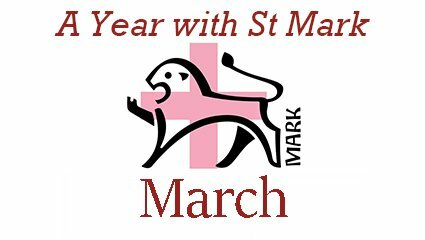 Bishop Mervyn Alexander (Bishop Declan’s predecessor) who was ordained bishop on the feast of St Mark, suggested that Mark’s Gospel was written for people in a hurry! It is the shortest of the four gospels and allows the reader of his good news to be taken up in the sheer energy and urgency of Jesus’ preaching, his ministry of healing, and his bringing in of God’s kingdom. 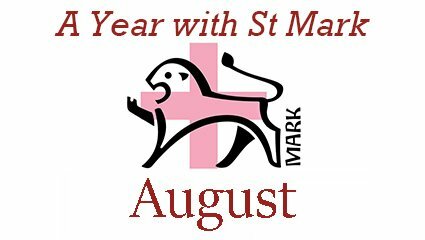 The new liturgical year which begins on the First Sunday of Advent (December 2017) means that Sunday by Sunday we pick up a reading of St Mark’s Gospel for the next twelve months (with a little gap allowing us to read St John’s sixth chapter in the summer). 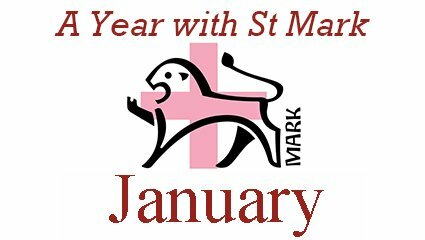 During this journey through our diocesan Year of Mission, there is an encouragement to read, pray and reflect upon Mark’s gospel and allow ourselves to be drawn every deeper into the life of a disciple called to echo the mission of Jesus. This series of monthly reflections was written by Fr Henry Wansbrough OSB, a monk of Ampleforth Abbey, for a Bristol parish three years ago. Its offered by way of helping each of us in our re-reading of the gospel of St Mark. Hopefully, it will help bring life to Mark’s story of Jesus and allow you to read it with fresh understand and an eagerness to walk closer to the Lord who calls each of us to be his disciples. Each liturgical year ends with a rehearsal for the last times, and the Year of Mark ends with a short passage in which Jesus says that he does not know when the end will occur (13.32). This raises the question, what Jesus taught about the remote future. Mark’s chapter 13 is often call the Synoptic Apocalypse because it shares with the other synoptic Gospels (Matthew and Luke) predictions of the ‘apocalyptic’ crashes and bangs of the final collapse of the universe, stars falling from heaven, etc. It is a chapter quite unlike any other part of the Gospel of Mark. For one thing, it is (verses 5-37) one long speech, whereas no other episode and no other continuous speech covers more than a few verses. For another thing, it is no narrative about the past, but is all about the future, consisting entirely of future tenses and commands to be alert, to be on guard, etc. For a third, it is carefully crafted, falling into sections: an introduction, three clear passages based on Old Testament quotations (verses 14, 20, 31) and a conclusion. Rather than being simply all the words of Jesus, it must be considered a carefully constructed prediction, based on and containing the words of Jesus. So, for instance, the saying that even Jesus does not know the day or the hour would never have been invented by the community which so revered the Risen Lord; they would never have invented a statement about his ignorance of the future. The main theme and the central idea is familiar in the Old Testament prophets: there will be a moment when God will intervene in history to put everything to rights and complete the divine plan. This will be an earth-shaking event, the Day of the Lord, described under the symbolism of tempest, earthquake, cosmic upheaval of an earth-centred universe. The first qualification for understanding scripture is to know when it is to be taken literally and when it is meant symbolically. A second qualification is not to force images and symbols into a single straightforward meaning. In this case the principal image is ‘the Abomination of Desolation’ (v. 14). This refers to a horrifying sacrilege; the expression is taken from Daniel 9.27, where it describes the desecrating, idolatrous image set up in the Temple by the Syrian king Antiochus Epiphanes in 167bc. In Mark it may refer to the statue which the Emperor Gaius threatened to erect in the Temple in 41-44ad, or the desolation of the Temple by the Romans in 70ad. In either case it is the symbol of the horror and distress which the followers of Jesus must undergo before Christ comes to rescue them and gather them to himself. The point is not the exact nature of the distress, but a warning to Christians to steel themselves for a life which will not be easy, and a promise that in the end Christ will gather in his own. But emphatically no time limit is given. What was the attitude of Jesus to the Jewish Law, and how does Mark present this? The basic position is given to us on the first Sunday of November. There Jesus repeats the most fundamental statement of Jewish Law and devotion, ‘And you shall love the Lord with all your heart, etc’. This is the statement of the love of God above all things. It is still recited in the Jewish daily prayer, still affixed to every observant Jewish doorpost as a reminder as you pass, an expression of total dedication. This Jesus completes with another quotation, ‘And you shall love your neighbour as yourself’, putting the similar statements on the same level, to the admiration of a Jewish lawyer. Devotion to the Jewish Law is not a chore but a delight, a joyful response to God’s gift of a pattern for life. The festival of the giving of the Law is celebrated with gratitude in dancing and merriment. Ominously, however, the lawyer puts this double commandment of love above ‘any holocaust or sacrifice’. Jesus will show his agreement when he symbolically rubbishes the way the Temple-cult was conducted: it had lost its value. On other occasions he criticises the way the Law is applied, the oral tradition which contradicts its true purpose (7.9); ‘the Sabbath was made for man’ (2.27). With sovereign authority he sweeps away even the written Law which was being used to make divorce ridiculously easy (10.9). He has no qualms about touching unclean lepers, allowing himself to be touched by a woman rated unclean, associating with unclean tax-collectors, putting his hand on a dead man’s bier. Mark interprets a saying of his as annulling all laws of unclean food (7.19), a generalisation deliberately omitted by Matthew 15.17-18. Such a disagreement left the first generation of Christians unsure of the Lord’s decision; we may surmise that Matthew’s community retained the food laws. Whether or not to observe such laws remained a point of fierce disagreement in the first capital of Christianity at Antioch (Galatians 2.11-14). In all his teaching it is clear that Jesus respects the Law and has a ‘feel’ for its application. Again and again he returns to its profoundest sense. On marriage (10.6) he returns to its sense of joining together man and woman in the creation-story. To the scribes he quotes the Fourth Commandment (7.10); to the Sadducees he draws out the meaning of the Law: the God ‘not of the dead but of the living’ (12.27); to the Herodians, ‘Give to God what belongs to God’ (12.17). The Law speaks to Jesus as God’s way for human beings. As in his healings, he asks only commitment to the way of God which we find in him. In our progress through the Gospel of Mark we come at last to the turning-point. In the early chapters we have watched the bewildered disciples increasingly awestruck by the wonder of Jesus but still uncomprehending. Jesus now leads them away from their familiar territory at the lakeside up to the more temperate and quieter region around the source of the River Jordan to put to them the crucial question, ‘Who is this man you are following?’ To those of us who have grown up with the answer, the answer is obvious – as obvious as the answer to the question, ‘What is success? What makes life worth living?’ But the plans of God are not always that obvious, expressed in the Bible in the symbol and poetry of prophecy. Even John the Baptist in his prison cell could not make out what Jesus was up to. At the time of Jesus the burning desire to get rid of foreign and Roman rule was sufficient to divert all attention to this one end, so that the goal of God’s intervention could have only one focus – just as success is now defined in terms of money, power and celebrity. When Peter, the stumbling enthusiast, lights upon the right answer he still does not grasp its implications. For this it would be necessary to look at the Bible again, for there are many aspects to the promises of God’s salvation. It was precisely this study of the Bible that is reflected in the wealth of scriptural quotations and allusions throughout the New Testament, showing how these promises are fulfilled in Jesus. The history of the Church, right up to the present day, confirms how difficult it is to grasp the message and translate it into life. Each of the three great prophecies of the passion is misunderstood by the disciples; they continue to think in terms of honour and comfort, places at the right and left of a triumphant ruler, just as in modern times we catch ourselves estimating the Church in terms of numbers, honour, size of buildings and organizations. So Jesus needs to repeat the lesson: success and integrity is not to be estimated even in terms of having two eyes, two hands and two feet. The ultimate paradox of Christianity is the failure of Christ: it is only when he has accepted to be stripped of every appearance of dignity and success, betrayed and deserted by his closest followers, that he fulfils his Father’s purpose. Where, then, is the Church to be found? Among Cardinals in Cadillacs or in Francis’ poor and disfigured? We may not take literally Jesus’ statement about cutting off the offending hand or foot or gauging out the offending eye – for these are not clearly legislative texts – but we must be clear that God’s standards are not those of the world. Mark’s Gospel is too short to cover the whole year, so in the middle we have a five-week stint of John, Jesus’ lovely Eucharistic Discourse. Why now, in the middle of the holiday season? It has always struck me that this is an invitation to Eucharistic hospitality: we are always members of Christ’s Eucharistic family, wherever we are, guests and hosts together! After the story of the Feeding of the Five Thousand, which is itself a foretaste of the Eucharist meal of Jesus with his disciples, John gives us an explanation of the Eucharist in Jesus’ words. This synagogue-sermon is, after the pattern of synagogue-sermons at the time, built on two quotations from scripture: at the start a text from the Law (v. 31), with a booster-text from the Prophets at mid-point (v. 45). After the manner of John’s Gospel the advance is made every time by a misunderstanding and a puzzled question; it is almost as though Jesus positively invites misunderstanding to provoke belief. Jesus explains each segment in turn: ‘Bread from heaven / he gave them / to eat’. The message is that the true bread from heaven was not given by Moses in the desert, but is even now being given by Christ in the life of the Church. Just like our modern Eucharists, the first sections are about revelation, about getting to know Christ and believe in him. There the gift is Christ’s revelation and his invitation to believe; the whole stress is on belief as the secret of life. The full revelation of the truth which forms God’s people was not the gift of the Law on Sinai, but is the gift of the Eucharist in word and sacrament of daily Christian life. It is only in the third section (v. 51-58) that the emphasis shifts to actually eating the flesh and drinking the blood. There a new word is four times used, which graphically really means ‘to chew’. We can be in no doubt about the realism of Jesus’ intentions. As so often in John, a trial, a decision is in progress, as some accept Jesus’ word and others fall away. Throughout the Gospel of John, Jesus is not the judge, but people judge themselves by their reaction to him. The disciples believe in Jesus at the marriage-feast of Cana; the Jews at the cleansing of the Temple refuse belief. The Man Born Blind puts his trust in Jesus; the Pharisees show their blindness by refusing to see Jesus as the Messiah. Here no action from Jesus is required; those who refuse the message slink away to give room for Peter’s proclamation, ‘You have the words of eternal life’. 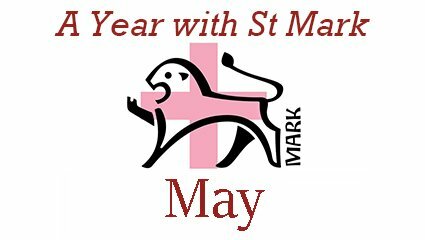 The Gospel readings for this month from Mark 6 are all about the task of proclaiming the Good News of the Kingdom – that is, the regime-change which Jesus has brought – and they are mostly about the rejection of this message. First comes the rejection of Jesus at his home-town of Nazareth. Then the disciples are sent out two-by-two. They are sent out with the minimum of kit, perhaps to stress the urgency of their message, perhaps to show that they care for nothing besides the Kingship of God, and can make do with whatever the Lord provides for them. They cure plenty of people and cast out demons, but there is no word of success. They are so exhausted on their return that Jesus takes them off to have a rest, and the crowds are still ‘like sheep without a shepherd’. The most ominous bit does not occur in the Sunday readings: between the mission of the disciples and their return is sandwiched the macabre story of the brutal beheading of John the Baptist as his reward for proclaiming the moral message of Jesus. This strong emphasis on the dangers of spreading the Gospel is a reminder of the persecution suffered by the first generations of apostles. The ridicule and opposition they encountered are clear from the Acts of the Apostles and from Paul’s own letters. He tells of the beatings he received from the Romans, the floggings he received from the Jews, ‘danger from brigands, danger from my own people, danger from pagans, danger in the towns, danger in the open country, danger at sea and danger from so-called brothers’ (2 Corinthians 12.26). At Rome the Christians were so despised and disliked that the Emperor Nero fixed on them the blame for the Great Fire of 64ad to divert it from himself. Their loyalty to Christ must have separated them from both Jews and Romans. There exists in Rome a heart-twisting early wall-graffito of a crucified man with a donkey’s head and the inscription (in ungrammatical Greek) ‘Alexamenos worships his god’ – perhaps a child’s gibe at Alexamenos, a Christian. Such glimpses are particularly striking if Mark was written at Rome. The threat of persecution and the need to share the Cross of Jesus hangs heavy over the whole Gospel of Mark: each of Jesus’ prophecies of his Passion concludes with an invitation to share it. There has never been an era in the history of the Church when persecution has been absent, and many of the persecutions have been quite unexpected, as those of the Reformation martyrs and particularly those of Christians in the Near East today. These come on top of the ridicule aroused by adherence to Christian moral standards in family life and in industry, finance and other workplaces. The challenges of representing Christ in the post-Christian world do not become easier. The Jesus whom Mark shows us is not merely a gentle healer. He has no hesitation in pointing out the deviations which had seeped into the practice of Judaism. He did not fear to break the health and safety laws of hygiene and ritual by touching a leper to heal him. He would not tolerate the dominance of detailed interpretations of Sabbath practice over human needs. He protected women by outlawing the creeping ease with which wives could be dismissed by their husbands. He thrust aside the traditional teaching (qorban) which enabled children to neglect their aged parents. Most of all he showed no patience with the business which had become associated with Temple sacrifice. The same directness is to be found in Jesus’ use of scripture: he takes the basic texts and returns to their original meaning, often with a four-point contrast: ‘What God has joined, no man may separate’ (referring to the joining of Adam and Eve at the first creation). ‘The Sabbath was made for man, not man for the Sabbath’, where ‘was made’ is the constant verb of the creation-narrative in Genesis. ‘Abandoning the command of God, you exalt the tradition of men’ as he re-asserts the fourth commandment about respect for parents. ‘Give to Caesar what is Caesar’s and to God what is God’s, reverting to the first commandment of respect for God. Furthermore, each time he goes beyond the expectations of his listeners to reach a new level of true understanding of the Word of God. On other occasions Jesus teaches by questions. His opponents put to him a question. He replies with his own question. They reply with an inadequate answer. He clinches with a deeper answer than ever they wanted. So when they challenge him about the source of his authority, he replies with the challenge of John the Baptist’s authority. When they ask for a ruling on divorce, he replies by asking for Moses’ ruling. When they seek to trap him into disloyalty to the Emperor, he ripostes by citing their own disloyalty to God. The opponents are often the Pharisees or the scribes (their legal experts), and yet one wonders just how deep the hostility went between Jesus and the Pharisees. Jesus uses the same methods of argument, the same scriptural basis and often the same codified rules of interpretation – hence the praise he receives for this argument over the Great Commandment. Are the disagreements fierce controversies or in-house discussions? Was Jesus himself a Pharisee, but an independent-minded Pharisee? Two other factors must be remembered: the Pharisees took no part in the arrest and trial of Jesus; the scribes and Pharisees are not mentioned at all after Mark 12.40. Secondly, by the time the Gospels came to be written, after the Sack of Jerusalem in 70ad, the only Jewish opposition to Christians came from the Pharisees. Bitter hostility at this later date may well have influenced the tone of the story-telling. From Mark’s Gospel can we build up a picture of Jesus and how he conceived his mission? Mark is not a modern biography; he has no interest in the appearance or the psychology of Jesus. It is clear that Jesus was unique; the German scholar, Bornkamm, defined him as The Man Who Fits No Formula. Mark shows us the evil spirits who are cast out acknowledging Jesus with their shrieks, ‘Leave us alone, Holy One of God!’ But it is only as a last resort, before the High Priest (14.62-64), that Jesus himself accepts the formulae ‘Messiah’, ‘Son of the Blessed One’, ‘Son of Man’, sharing the mobile throne of God (known from Ezekiel’s great opening vision). We cannot fit Jesus into ready-made boxes. Some modern theologians have described him as the Symbol of God or the Sacrament of God, the effective image of God, God active and revealed at a particular moment of history. We must draw on some backgrounds. Jewish rabbinic sources tell us of charismatic Galilean rabbis at the time of Jesus who had a loving, warm relationship to God and called God (somewhat playfully) ‘Abba, Father’. They worked wonders among the people. This may be a context for Jesus, for he too used this word with such emphasis that it is preserved in Aramaic in the Greek text of the New Testament. It is not a kiddies’ word for ‘Daddy’, but a noble, adult word for the warm relationship of son to father. At every moment Jesus could slip off and then spend long periods communing with his Father in prayer. There is one profound and important difference between the wonders of these Galilean rabbis and those of Jesus: the wonders of Jesus were not just temporal cures, but – according to Mark – were signs of the final era of God, the fulfilment of the prophecies. The feeding of the five thousand is recounted in terms of the shepherd of God’s people, feeding them in pastures green, near the restful waters of the Lake of Galilee (Psalm 22). The calming of the storm and the incident of Jesus walking on the water are described in terms which recall God coming to rescue his own from storm and tempest (Psalm 106). The healing wonders fulfil the expectations of the ideal era of God’s presence foretold by Isaiah when the dumb will speak, the lame man leap like a calf. At the Baptism the appellation ‘My son in whom I am well pleased’ refers to the prophecy of the servant of the Lord in Isaiah 42, who would do the Lord’s will and be persecuted as his witness. As Christians we spring forward with boxes of our own construction, ready to pop Jesus into them. The expectation was far wider and less defined than any naive Christology. In what way would the era bring God present among his people? God himself? A messenger of God? God working through a Servant? It would be also an awesome and effective God, judging his people. Jesus would not simply comfort; he would also exercise God’s judgment, would refine away the dross and burn the worthless chaff. 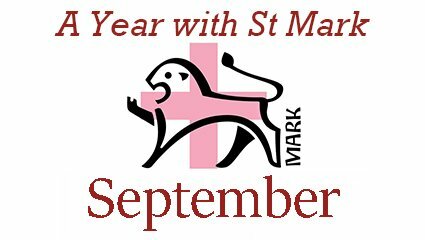 Again we pause this month in our readings from Mark, to listen mostly to Jesus’ words in John about the future of his community, the Church. But first we should look to see what Mark has to say about the Resurrection itself. The original Gospel ended with the story of the Empty Tomb at Mark 16.8. Another few verses were added later, giving a short glimpse of the early missions of the Church. The original ending is abrupt: ‘for they were afraid’. It is enriching to regard this abrupt ending as Mark’s intention. The whole emphasis of the account is the fear, terror and amazement of the women who find the tomb empty. The explanation given by the young man in white, that they will find the Risen Lord in Galilee, does not solve their terror. To them it seems that the general resurrection at the end of time has already begun, and their only reaction is to run away as fast as they can, as though from a tsunami. This leaves the end of the Gospel quivering and open: anything may happen, and the reader may expect any marvels. If this is correct, the further verses, 9-20, were added when the other Gospels had been written, under the impression that it was impossible for a Gospel to end without stories of meetings with the Risen Lord. So another author (they are of quite different style and vocabulary) added them, drawing upon and abbreviating other New Testament stories. Other scholars maintain that such an abrupt and open-ended conclusion is far too modern for a writing of that time, and there must have been another ending, somehow later lost. It may be a moment to reflect on the style of Mark. He is a master story-teller, with a way of zooming in on a particular visible object: Jesus asleep in the boat ‘his head on a cushion’, the woman with a haemorrhage touching the knee-length hem of Jesus’ tunic, the hefty Gerasene demoniac howling on the hillsides and bursting his flimsy bonds, the hungry crowds sitting down on the green grass. Mark is always in a hurry, skimming along with historic present tenses (‘he comes and he says…’) and his favourite ‘and immediately’ (9 times in chapter 1 alone). He brings life and local colour by a selection of Aramaic phrases, talitha koum, effatha, etc. His imagery is limited and verbal style primitive; it has been described as ‘kitchen Greek’, the language used by slaves all round the Eastern Mediterranean. But his patterning is sophisticated: he patterns the incidents to bring out his theme of the slowness of the disciples to believe, and their reluctance to accept the challenge of suffering for Christ’s sake. The two stories of Jesus giving sight to the blind are symbolically placed just before Peter’s eyes are opened, and before the great final revelation at Jerusalem. There was good reason to ask this master of oral narrative to compose the Gospel. 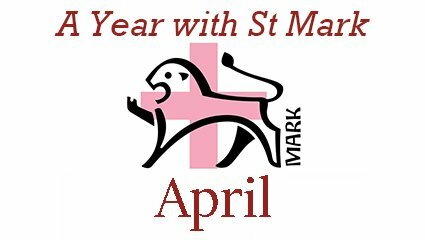 During the later Sundays of Lent our readings from Mark have given way to readings from John in preparation for the feast of Easter; we return to Mark for Palm Sunday. The Gospel of Mark has been described as ‘a Passion Narrative with extended introduction’, for the influence of the Passion can be felt all the way through. Already it is threatened in the mysterious mention of the bridegroom being taken away (2.20), and explicitly in the early plotting to kill Jesus (3.6). After Peter’s confession at Caesarea Philippi it comes to centre-stage with the three great prophecies of the Passion (8.31; 9.31; 10.34), each misunderstood by the disciples and re-iterated by Jesus, with the insistence that his disciples too must share the Cross. Finally comes the anointing at Bethany, which Jesus allows only because the woman is anointing him for his burial. When we come to the account of the events themselves, the outline of the story is guaranteed by an external witness, the Jewish historian Josephus, who tells us that Jesus was condemned to crucifixion by Pontius Pilate ‘at the instigation of’ the leading men among the Jews. Who bears the chief blame, Pilate or the chief priests? Many of the details narrated are given to show that the Passion fulfils the will of God, planned from long ago and foretold in scripture. Two special highlights stand out. The first is Jesus’ answer to the High Priest. After two unsuccessful false accusations, in answer to the Caiaphas’ direct question, Jesus at last declares his full position. He is the Son of Man foretold by Daniel 7.13, the figure who would receive all power on earth from the One of Great Age. Not only that, but he will come on the clouds, sharing the awesome throne of God. The High Priest recoils at this hideous blasphemy – no mere human being can share the throne of God – but we at last know who he is. Later theologians will analyse this into a claim that the two persons share the one divinity. The other highlight which stands out is Jesus’ last cry from the Cross, ‘My God, my God, why have you forsaken me?’ It has often been misunderstood. It is the intonation of Psalm 21, to which many of the details of the Passion Narrative allude (the mockery, the division of Jesus’ clothes, his thirst). The psalm passes from the opening plea, through the agony of suffering to the triumph of God and the vindication of the sufferer. It is an assertion not of despair but of firm expectation, a moment of triumph. This is a moment not of separation from God but of loving obedience of Jesus to his Father. ‘Thy will be done’ was the thrice-repeated prayer in the Garden. Here we see at its most intense the closeness of Jesus to his Father and the confidence which, in his very real and very human fear, he was struggling to establish as he saw what was to come. When Lent begins, the whole tone of the Gospel readings put before us by the Church changes: we return to Jesus’ original call, so often translated ‘Repent’. Mark does not intend this call (in the Gospel for the First Sunday of Lent) to be a call to weep and writhe in sorrow for past sins. Rather it looks to the future; it is a call to a complete change of life, a régime change. The imminent arrival of the Kingdom or Kingship of God makes everything different, and that is what Jesus is proclaiming. We Christians think a lot about Jesus, but Jesus was not concerned to make known who he was: his focus was all on his Father. He is impatient at the rule of evil. By his wonders he releases people from their bonds, whether it be sickness or alienation, the solitary life of the leper or the despised life of the tax-collector and sinner. He is impatient with the petty restrictions of Sabbath or ‘unclean’ foods: ‘The Sabbath was made for man, not man for the Sabbath.’ But if it comes to protecting people from the sins and follies of others, he is absolute: ‘What God has joined together, let no one separate’. A millstone in the depths of the sea for leading others into sin. Jesus shows the judgment of God as well as the divine love and compassion. All this fulfils the promises of the prophets, especially Isaiah, about the final visitation of God to establish the freedom and true justice of his chosen shepherd. In the action of Jesus they see God at work. In the miraculous feedings it is the prophet at work, as Elisha in 2 Kings 4, and God’s Messiah surrounded by his people at the final wedding-banquet. In controlling the sea Jesus takes the place of God, for only God walks on the backs of the waves; they would remember the scene of God’s rescue on the sea in Psalm 106.23-30. All this comes to a head in the scene of the Transfiguration. Mark does not in so many words teach the divinity of Jesus, for ‘son of God’ is not precisely a divine title, but the Transfiguration is very near to it. Jesus’ dazzling appearance marks him out as a heavenly being. The cloud is always a symbol of God. The company of Moses and Elijah has special significance, because each of them experienced the terrifying presence of God on the holy mountain. The declaration to Jesus at his baptism (‘You are my son’) has now become a public proclamation (‘This is my son’), coupled with the command to listen to him. Peter and his companions are stunned into bewilderment and awe; they simply cannot comprehend. It is a reaction we can only pray to share. As Christmas recedes into the distance we begin the business of the year. Mark opens his Gospel with the proclamation of the new régime at the Baptism of Jesus. With all the solemnity of a formal revelation the heavens are split open, the Spirit of God descends and the Voice declares to Jesus, ‘You are my Son, the beloved’. The rest of the Gospel will lay out what this means, but it is not till Jesus has died on the Cross that a human being stumbles on the full meaning of the declaration: ‘Truly this man was Son of God’, says the centurion at the foot of the Cross. When Jesus departs into the desert for his preparation of forty days perhaps he too is pondering what this will mean for him. Mark tells us little about this period, suggesting only that it was already a return to the peace of the Garden of Eden, with the company of the beasts and served by God’s own ministers, the angels. But as yet the meaning of the scene is known only to Mark’s audience, not to the actors in the events. With Markan irony, the first disciples to be called have no inkling who Jesus is. They merely drop everything and follow the magnetic personality of this unknown stranger. Gradually we, who already know who Jesus is, see them repeatedly amazed at his power and authority. First he teaches in the synagogue on his own authority, not like the Jewish teachers who merely repeat the interpretations of their rabbis. Then, in the crowded, stuffy room at Capernaum he claims to forgive sins; any self-respecting Jew knows that this is blasphemy: forgiveness comes only from God. But Jesus exercises God’s power to heal the sinner. Next he commands the wind and the seas and they obey. There is a crescendo of power, authority and awe, but still they do not understand. Jesus wearily rebukes them, the first of three rebukes to their lack of faith, each time on the Lake of Galilee, each couched in the characteristic Markan double-question, ‘Why are you so frightened? How is it that you have no faith?’ (4.40). The evil spirits recognize him, sure enough, but he binds them to silence, for his followers are not yet ready to understand. Only when the eyes of the blind man of Bethsaida are opened does Peter at last also see and hail Jesus as the Messiah. He still does not understand what this means, and the second half of the Gospel, leading up to the Passion, focuses on the gradual and painful learning by the disciples that if they want to follow Jesus they must be prepared to share his Cross. The story of the Gospel is a painful mirror of our own slowness to understand what it means to be a disciple of Jesus. We never know Jesus fully, and spend our whole lives learning what he really means, making mistake after mistake. And the hardest part is to learn the message of suffering with Christ. 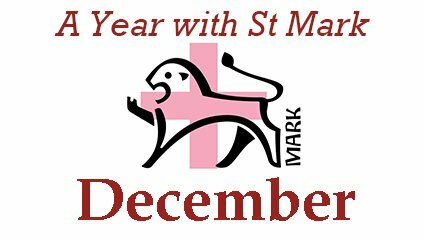 On the first Sunday of Advent 2017 we start to read the Gospel of Mark on Sundays. It is universally agreed that Mark was the first Gospel to be written. It is also the shortest and simplest. We do not know who Mark was. He was certainly not one of the Twelve chosen Apostles of Jesus. However, if his full name was ‘John Mark’ he could have been one of Paul’s companions on his early missions. The mother of this John Mark had a house in Jerusalem, so that John Mark was presumably brought up in Jerusalem. In any case, Mark was chosen to write a Gospel not for his name but for his ability to express the message of the Gospel. It was an explosive message; Archbishop Rowan Williams calls it a ‘news bulletin’ about ‘régime change’. Where did Mark get his information? The message about Jesus spread quickly by word of mouth among the Jewish communities scattered round the Eastern Mediterranean. In the non-literary society of those days verbal communication was considered at least as reliable as written documents – just as nowadays we get most of our information from the internet rather than from books. It was only when the original messengers of this Good News were beginning to fail that Mark wrote it all down. We can tell from his style that he was basically an oral teacher: oral teachers need to repeat themselves (‘at evening, when the sun had set’) to ensure that details have been heard! So, when he had been telling the stories for years, people decided that he did it so well that they asked him to write it all down. Is the account reliable? Every story is told in a context, and the context for the telling of the Gospel story is the spread of this new religious group around the Eastern part of the Roman Empire. From the start they were mocked and persecuted for their belief: they were cut off from normal civic life by their refusal to acknowledge the gods whose worship formed the background of all civic activities. Every football match (so to speak) began with a sacrifice to the gods. Worse still, they refused to acclaim the Emperor as Lord; for them Christ was Lord – to the exclusion of any other lordship. This background of isolation and persecution must have affected the way the stories were told. In telling the story of Jesus, Mark is careful to remind his audience that even the chosen Twelve were slow and reluctant to grasp the Christian message that Resurrection can be reached only through suffering and persecution. Mark does not pretend that Christianity is an easy option. 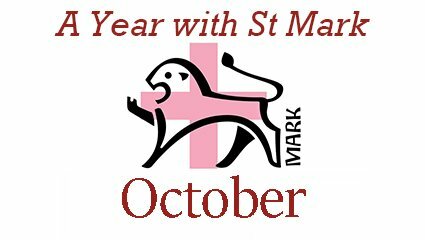 The Gospel According to St Mark is the shortest of the four gospels but often tells of Jesus’ ministry in more detail. 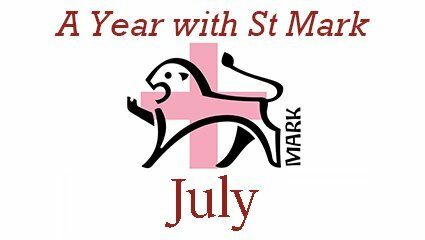 We have a series called ‘Exploring Mark’ that aims to bring us a little closer to Mark the Evangelist and his account of Jesus, his life and His ministry. The commentary is provided by the excellent Nicholas King SJ – an eminent author and Bible scholar and, as the post-nominal letters suggest, Jesuit priest. 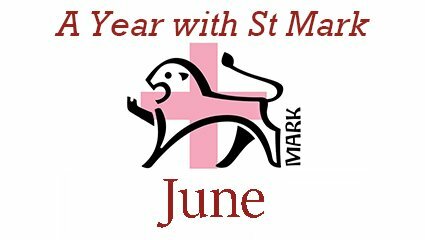 Here’s a simple question and answer piece with the excellent Nicholas King SJ on St Mark and his gospel. Nicholas is an eminent author and Bible scholar and, as the post-nominal letters suggest, Jesuit priest. Here’s the first part of our ‘Exploring Mark’ series. It looks at St Mark’s Gospel in the company of the excellent author and Bible scholar Nicholas King SJ. Part Three of our ‘Exploring Mark’ series sees author and Bible scholar Nicholas King SJ examine the Cross and Resurrection in Mark’s Gospel. Part Four of our ‘Exploring Mark’ series sees author and Bible scholar Nicholas King SJ talk to us about the women in Mark’s Gospel and their encounters with Jesus. The final part of our ‘Exploring Mark’ series sees author and Bible scholar Nicholas King SJ conclude the series by looking at what he calls Mark’s strange ending.